Product prices and availability are accurate as of 2019-04-14 21:47:46 UTC and are subject to change. Any price and availability information displayed on http://www.amazon.com/ at the time of purchase will apply to the purchase of this product. 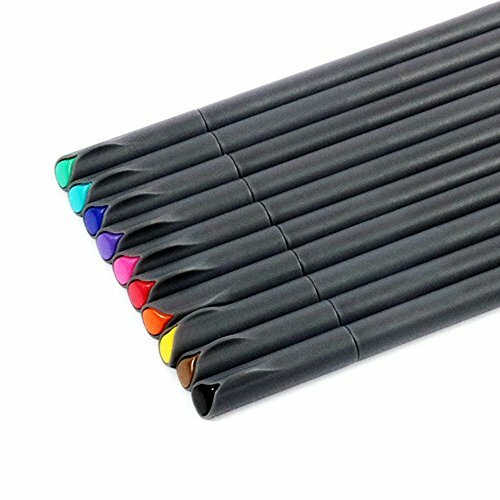 10-Piece MyLifeUNIT Colored Fineliner Pen Set, not just for children but for adult coloring books, artists, students or just for everyday coloring fun; these pens are simply the best! 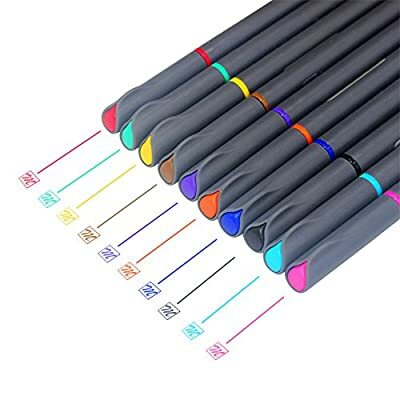 Now in a Set of 10 assorted colors with more color choices and BRILLIANT COLORS, 0.4 mm Fine Point, Assorted, Minimal Bleed Thru/ Acid-free Ink; these are the preferred coloring pens. Fineliner pens have a superfine, metal-clad tip and ergonomic shape for relaxed and easy writing. 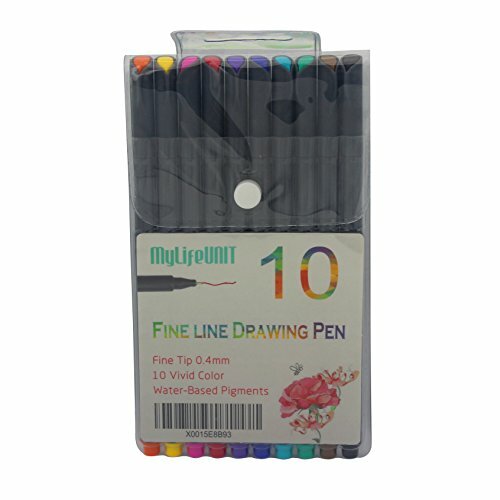 Fineliner 10 Pack in BRILLIANT COLORS, 0.38 mm Fine Point, Assorted, DRY SAFE, Minimal Bleed Thru/ Acid-free Ink. Fineliner with superfine, metal-clad tip and outstanding performance in all areas of manga, graphic, design and illustration, easy and comfortable to write. Especially used by the designers of Architecutre, AD, Comic (Manga) and Animation for drawing lines and signing Line width approx. 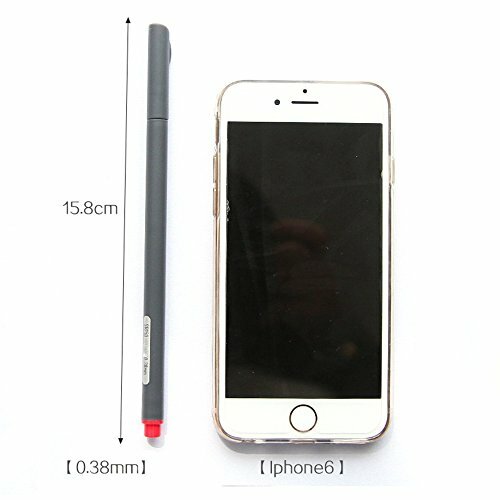 0.4 mm. Water-based ink. Washes out of many textiles. MyLifeUNIT Color Pen Set, Set of 10 Assorted Colors. Packaged in a soft transparent vinyl bag.